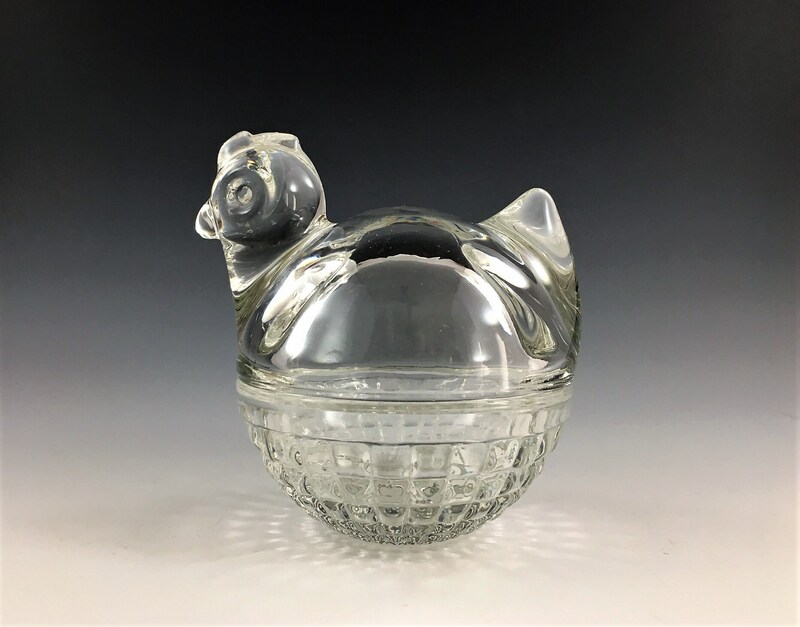 Featured is a pretty cool Hen on Nest from Anchor Hocking. 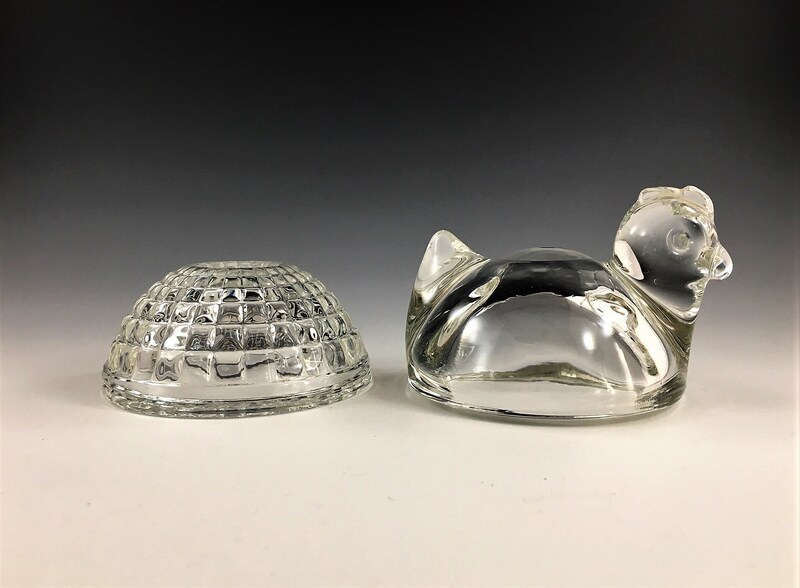 This heavy glass trinket or candy box is about 4 inches tall and 3 1/2 inches wide. It is in excellent condition, free from any chips or cracks. Perfect for many thinks around the house. 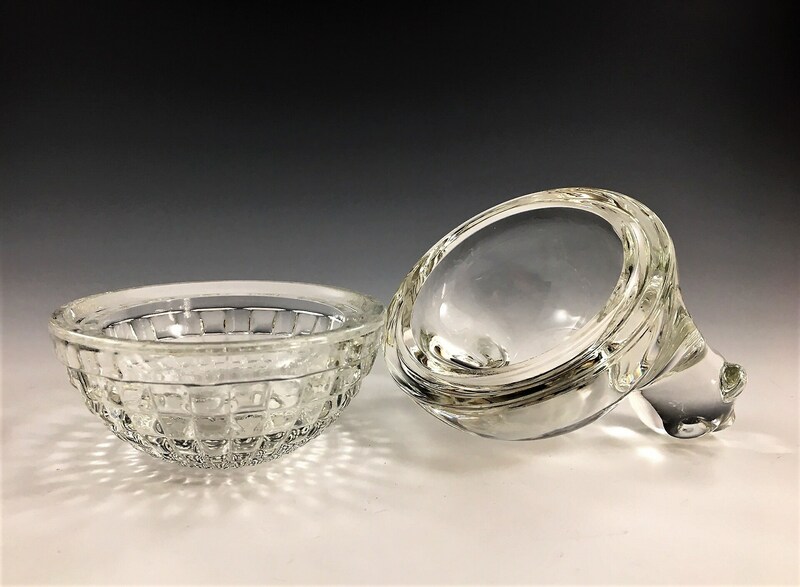 Fill it with jellybeans, buttons, or potpourri. Wonderful gift idea. Chicken Lovers Unite!